Now that is something different. It looks like an ordinary cube but listen to this :Requires 10 moves to remove the first piece but...none of the pieces are moving!! That is a puzzle before you play with it.A Peculiar locking system. Can you unlock it? 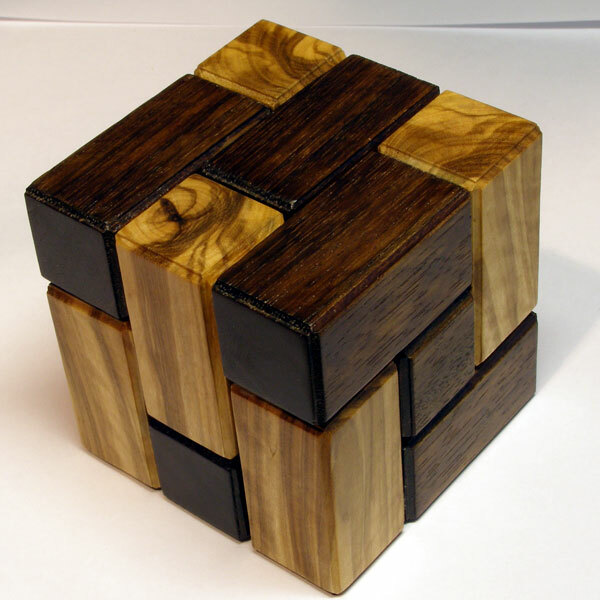 See more pics of gravity cube.or Back to puzzle index.